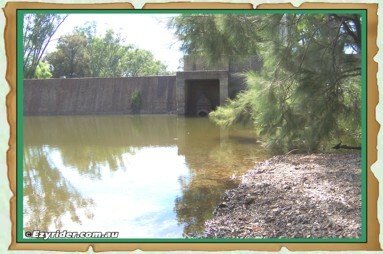 The Manilla Weir is located on Halls Creek Rd on the way to the Golf Club. 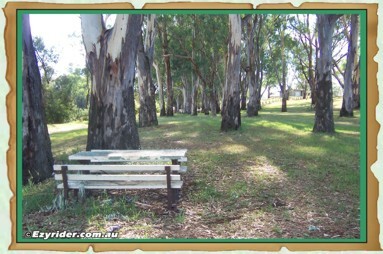 The Rivergums Caravan Park is located on land just above the Namoi River and walking distance from the weir. 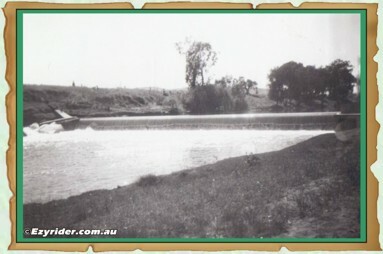 In the 1950's-60's the weir area was visited by many families. 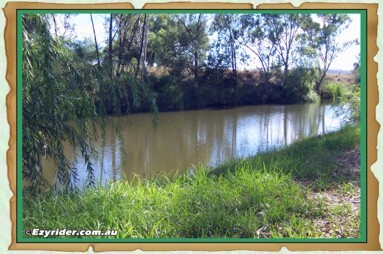 With water flow more consistent than today it was the popular area for families and the younger generation. 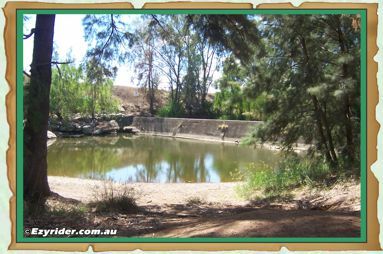 Walking across the wall to the other side was where the swimming and diving took place, as well as the area on the bank on the southern side. 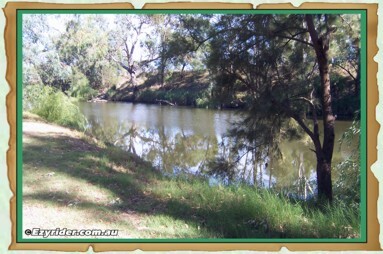 Further down the river, near the lower weir, school swimming sports were held. 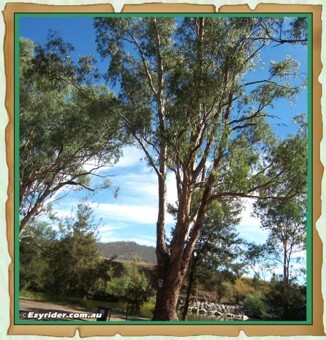 Included in one area was a rope attached to a tree where you could swing out and back again. 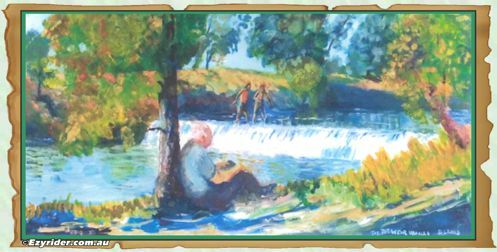 Fishing was always popular along the stretch of the river, in particular just below the little weir - I especially remember this at night time. 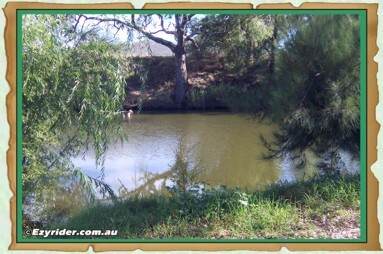 Lines were used attached to a small flexible willow twig with a bell attached - when the fish took the bait the bell would ring. 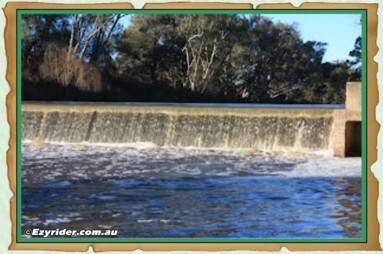 Today the weir water flow has declined considerably, with nil flow being the norm on many occasions. 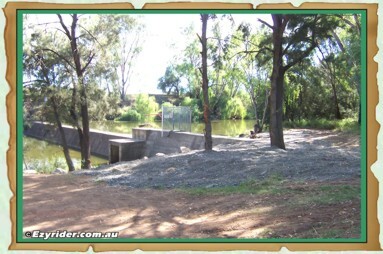 This is due to (I am told) the river not regulated within dam legislation and therefore is unregulated for irrigation. Nature ignored for societal profits. 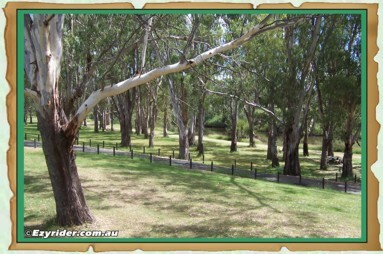 These two pictures show the view from the caravan park area down towards the river. 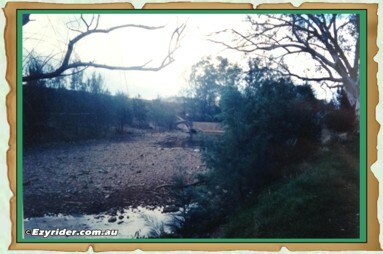 A road leads to the weir on the right picture. 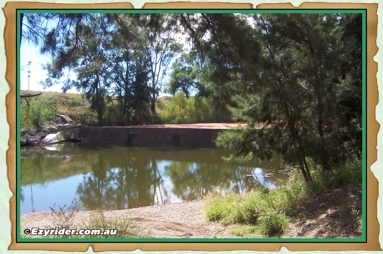 Left - The weir from the bank area where families used to picnic and at times swim to the wall area across to the far end. 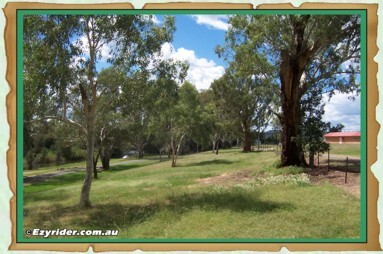 These 2 pictures were taken in March 2013. 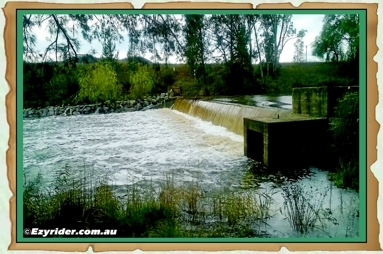 Right - Showing the weir with quite a bit of water going over it on this day. Note the barrier stopping people from entering the wall area today. 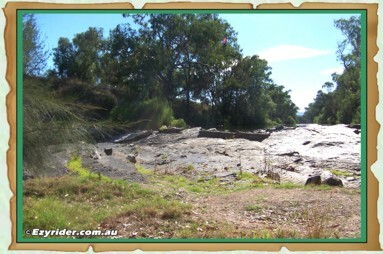 There are now rocks in the slip stream; this was open in the early days. 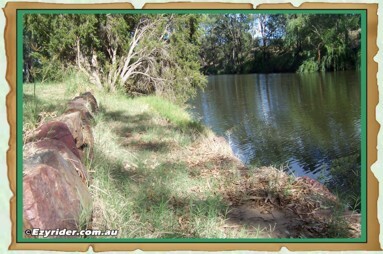 With a smaller flow of water it was easier to swim back after diving off, to then sit on the ledge just under water before getting back up the wall in the slip stream area. This area got very crowded at times. 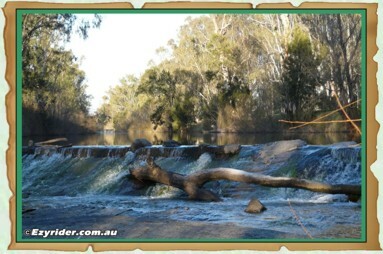 You can drive to the main weir beside the river, or walking is my preference. Along the way there are tables and seats. 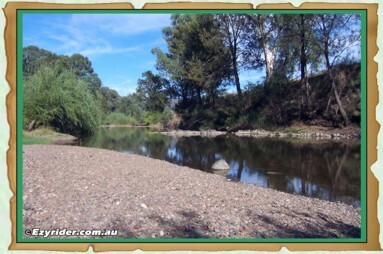 Looks quite relaxing don't you think? 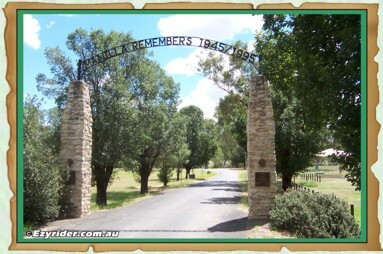 At the entrance, just off Halls Creek Road, is a remembrance to our armed forces that served in different areas of the world. 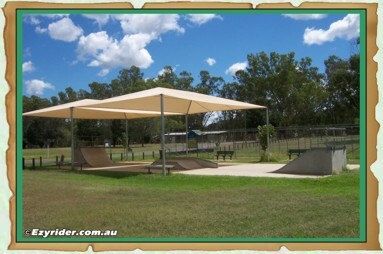 A skate board ramp is also located in this area. 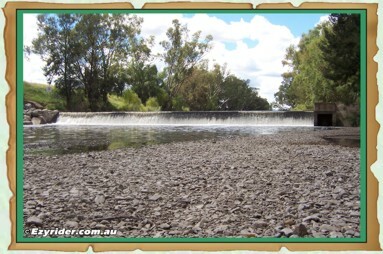 The drought was affecting farmers and with so little rain the weir had no water flowing over it. 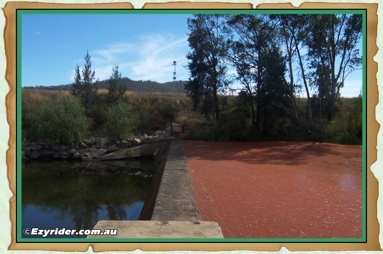 Left - Shows how low the water was just 50 metres down stream from the wall. Right - The top of the wall. 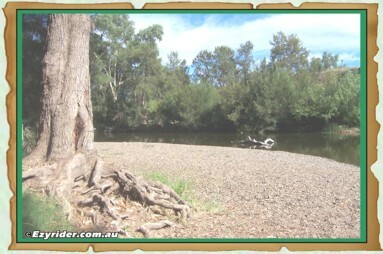 Dredging was performed while the river was low and the gravel shown in this picture was obtained from the upper side of the wall. The barrier can be seen in this pic. blocking any entrance to the wall. In the 1950's-1960's we were all able to walk across the wall and dive off the northern side. 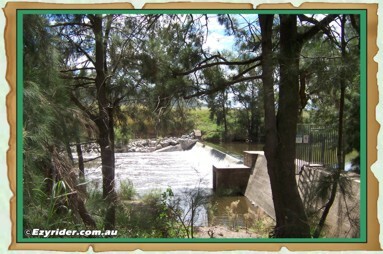 The lower weir is located down from the Caravan Park and a short walk from the main weir. 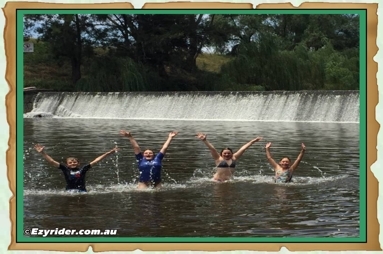 Just before the weir, swimming sports were held during school days in the 1950's-1960's. 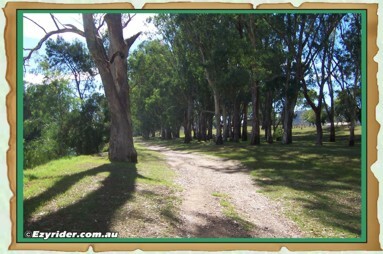 Everyone used to walk down from the Manilla Primary Central School on those days. 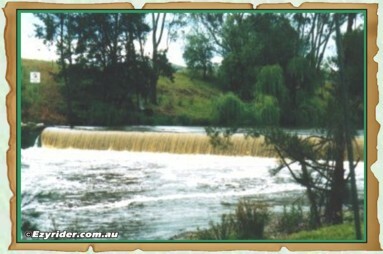 On the other side of the weir, downstream, was an ideal fishing spot where many locals used to go fishing there during the evening. 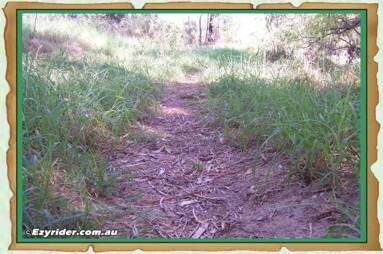 Left - Walking track down to the weir. 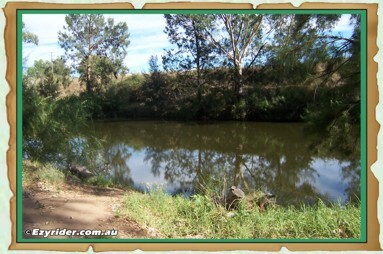 Right - Opens up to a gravel bank and fishing spots. 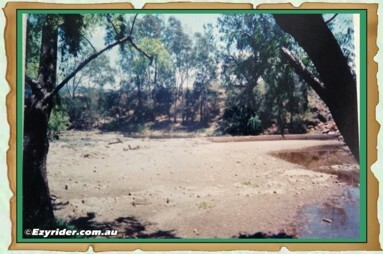 Photo was taken during March 2014 when there was little water flow due to a drought. Normally this area has a larger expanse of water. 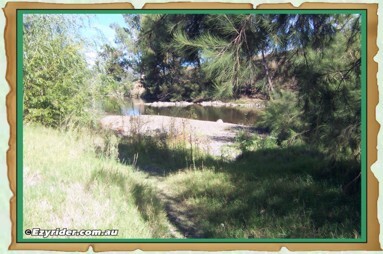 Left - The fishing area and gravel bank. 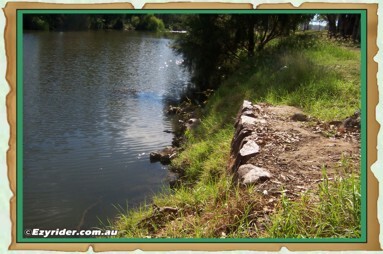 This bank is usually covered in water. 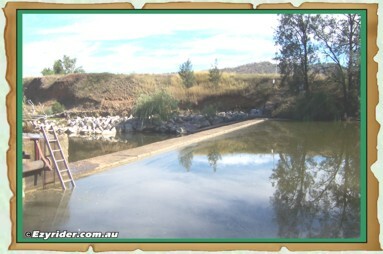 Right - The weir wall and rocky areas. Again, this area is normally covered in water. See pics further below. 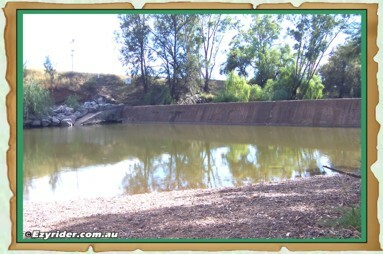 Left - A close up of the wall and rocks to the right, with no water going over the wall and only a small amount over the rocks. 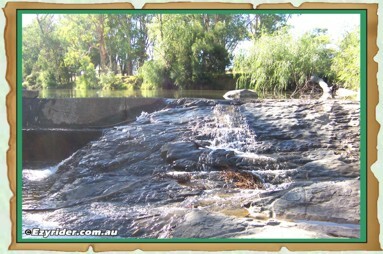 Right - The rocky wall looking up stream to the main weir. 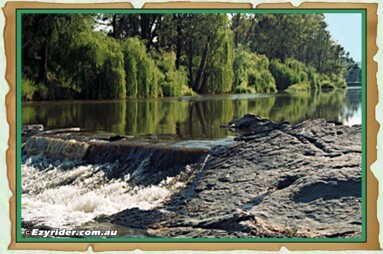 With plenty of water flow, the lower weir is a picture of tranquility and natural peace, and together with the soothing sound of water flow, it becomes an ideal place to sit on the bank and take in nature's majestic wonder. 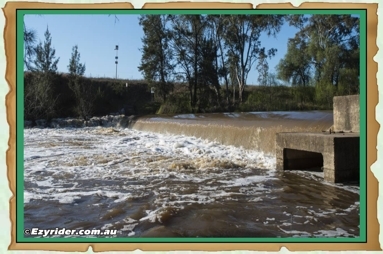 Even though the drought had virtually stopped the flow of water, the fishing spots along the Namoi river between the two weirs can still be located. 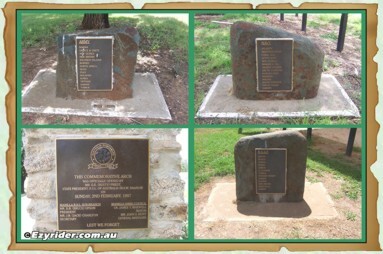 The following pictures show some of these areas. 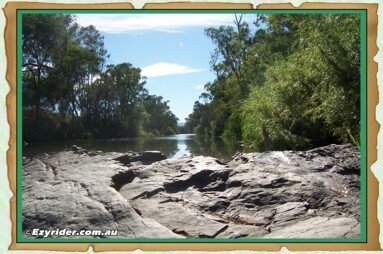 When the river has more water the level rises to just under this perfect vantage point for fishing. 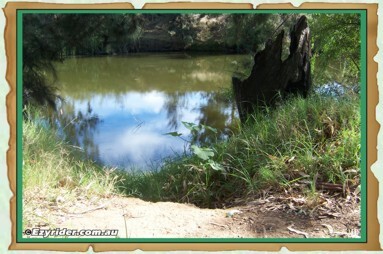 In the 1950's-1960's this would have been an ideal place to dive off. 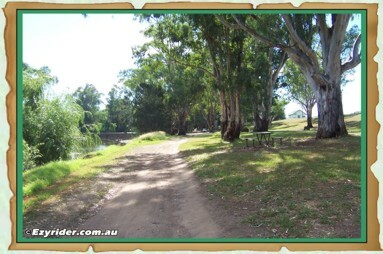 After a walk from the town centre, select a shady spot just up the bank from the main weir, lay down, and enjoy the peaceful setting that always awaits visitors to The Manilla Namoi Weir.